Trick or treat! Here at Sweet Treat Supply, we love incorporating different holidays into our delicious goodies. What better time to enjoy some festive candy than at Halloween? With our large collection of fun and spooky Halloween candy molds, you are sure to find the perfect shape for your event this year. These are treats that you children, friends, and coworkers will all enjoy. Jack O Lantern Mold: What would Halloween be without a classic Jack O Lantern? If you aren’t so keen on making a pulpy mess with an actual pumpkin, try these fun Jack O Lantern molds. Simply add orange powder color to our white confectionary coating and make those pumpkins pop! Eyeball Chocolate Mold: One of our slightly more spine-tingling molds, these eyeball molds are the perfect way to shock your friends in a fun way. Drop some classic brown chocolate into the mold first and then fill with white chocolate. When dry, add some creepy red lines to achieve the full effect. Bat Sucker Chocolate Mold: If you are looking for slightly larger treats, try out the Bat Chocolate Molds. They are so simple to make with chocolate melts and our 4 1/2” sucker sticks. This is a fun treat to wrap in some orange cellophane, tie with a bit of festive ribbon, and bring to any school or office Halloween party. They are sure to fly from the table. Witch on Broom Sucker Mold: Double double toil and trouble, fire burn and cauldron bubble! Few images are as iconically tied to Halloween as the witch. There is a reason why every year, it remains one of the most classic fallback costume choices, and Hocus Pocus is played on repeat. 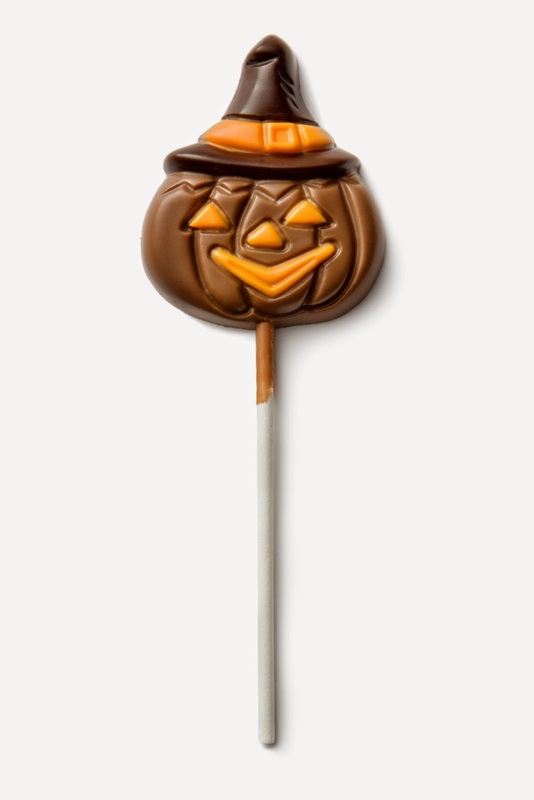 Make your own witch lollipops in a color of your choice with this popular mold. 3D Large Skull Front Chocolate Mold: We love our large statement chocolate molds, and this 3D skull is perfect for Halloween. These look great when placed in the middle of a large serving platter with smaller chocolate mold shapes positioned around it. Assorted Halloween with Hat Mold: Can’t choose just one shape for this Halloween? You are in luck! We have multiple candy molds with assorted Halloween shapes, so you can choose exactly the ones that you want for your party. We love this one with witches’ hats, but there are others with haunted houses, skeletons, bats, tombstones and every shape for your Halloween theme. There are even more fun Halloween-themed molds at in our candy mold section, so check them out in time for the holidays! If you have other ideas for homemade Halloween candy or Halloween party ideas, share them below or on our Facebook page.